By popular demand and just for you dear reader, here are another 21 humorous quotes that will really tickle you I’m sure. Unfortunately I’ve struggled to identify the original authors of these witticisms so they must all be classified as ‘Author Unknown’. However if anyone can help me on this point I’d be happy to give appropriate credits where possible. Just let me know either via Comments or Contact. Either way I hope they will make you smile dear reader. And should you be someone for whom life is tough right now, then I hope they bring a little light to what otherwise might be a dark day. 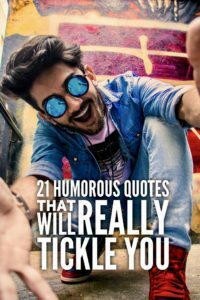 This is the latest collection of humorous quotes put together in response to requests from readers for more laughter and less gloom. So I hope that has been achieved. 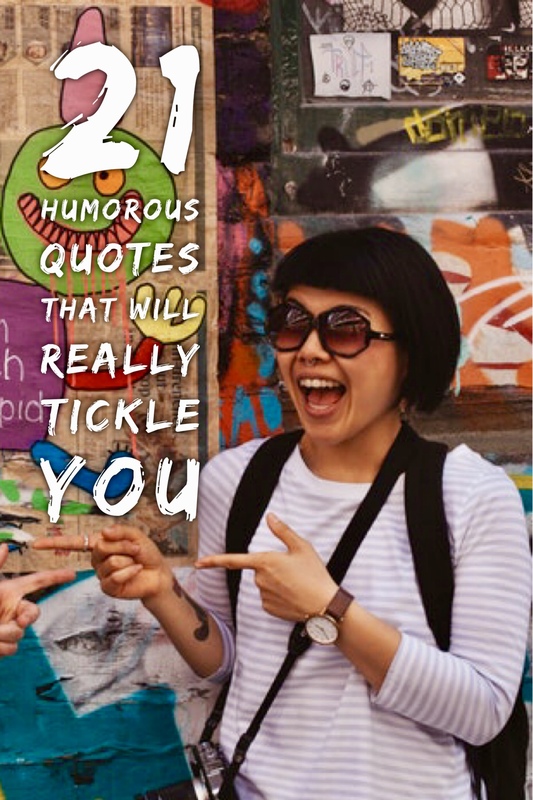 These are probably as funny as any quotes you’ll read today or any day. Maybe you disagree? If so your comments would be welcome. Laugh long and laugh loud for life is too short not to fill your days with laughter. Enjoy this moment, for this moment is your life. Parenthood is the scariest hood to go through. People say I act like I don’t care. It’s not an act. I childproofed my house but the kids still get in somehow. Today is one of those days when even my coffee needs a coffee. I am one step away from being rich and all I need now is money. An apple a day keeps anyone anyway, if you throw it hard enough. I’ve made it from the bed to the couch. There’s no stopping me now. Lazy is such an ugly word. I prefer to call it selective participation. I remember years ago when all I wanted to do is be older. I was wrong. I think something’s missing in my life. Like two or three million dollars. You know you’re a mom when you understand why mama bear’s porridge was cold. I once had a job in an orange juice factory but I got canned because I couldn’t concentrate. I’m on that new diet where you eat anything you want and you pray for a miracle. Dear life, when I said “can this day get any worse?” it was a rhetorical question, not a challenge. I never make the same mistake twice. I make it three or four times, you know, just to be sure! I was going to take over the world today but I overslept. Postponed, again! Don’t mess with me; I know Karate, Judo, Jujitsu, Kung Fu and 20 other dangerous words. That awkward moment you can’t understand what somebody is saying after they’ve repeated it about five times. During his summer recess, Santa has been viewing your Facebook posts. This year you’re getting a dictionary. 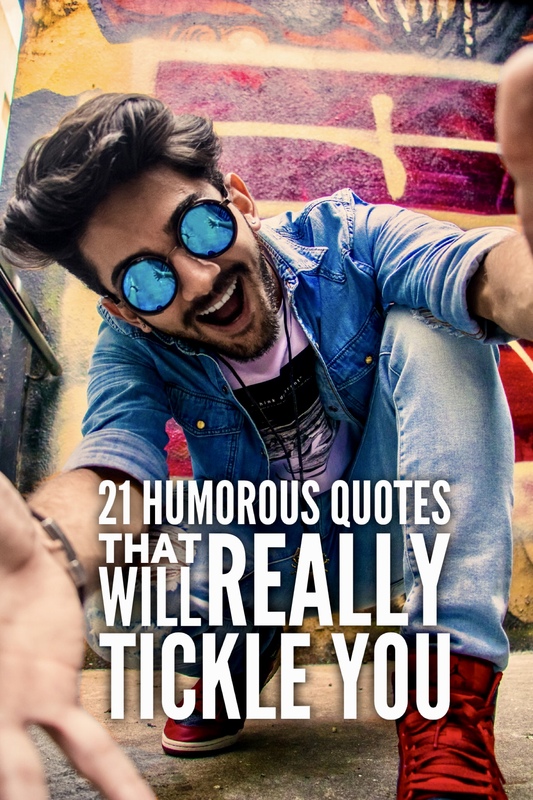 If you enjoyed these humorous quotes dear reader then please share them on social media with your friends. Share the fun and everyone wins. Put a smile on someone else’s face and you’ve done your good deed for the day. So go on, share now. And if you fancy some more laughs then click on the links below. You’ll find plenty to make you smile.